Security guards who said they were fired for raising concerns about the work environment at the nuclear generating station, Palisades Power Plant, on Lake Michigan can get their jobs back, according to the US Department of Labor. The Occupational Safety & Health Administration (OSHA) ruled that Chris Mikusko and Roland Ruby were wrongfully terminated by Entergy Nuclear Operations for saying that their colleagues were too afraid to report their concerns to bosses. As a result, OSHA has ordered Palisades to reinstate Mikusko and Ruby to their former positions and said the two men are to be paid back wages and lost vacation pay. Mikusko and Ruby were interviewed by NBC 5 Investigates in 2014. They had worked security at Palisades in South Haven, Michigan for a combined 39 years until late 2013. Both men said they told managers that a supervisor worked a shift without proper firearm qualifications. 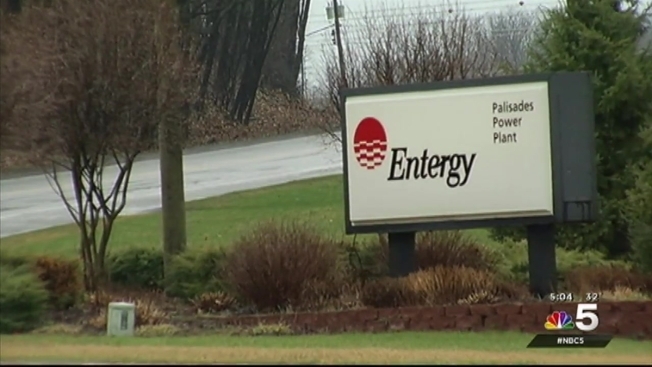 Mikusko and Ruby said parent company Entergy fired them for raising safety concerns. The Nuclear Regulatory Commission (NRC) investigated the complaints and later announced Palisades had made improvements to its work environment. Attorney Billie Garde represents Mikusko and Ruby. She said the two men want to go back to work. In an email to NBC 5 Investigates, Entergy said it is disappointed by OSHA’s findings and is evaluating next steps. “Entergy uses thorough processes to ensure that all of our staffing decisions are carefully evaluated and consistent with our policies to prevent harassment, retaliation and discrimination,” wrote Entergy spokesperson Nicholas Culp. The Palisades Power Plant is located on the shore of Lake Michigan, which is the main supply of drinking water for the Chicago area.